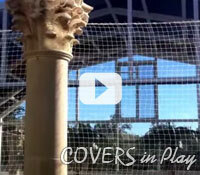 A two story Swimming Retractable Pool Enclosure for pool volley ball. Never let the rain ruin your game. When the weather is not co-operating just push a button. Sun in your eyes and can't see the volleyball just hit the remote control to close your blinds. Extra privacy? No problem. 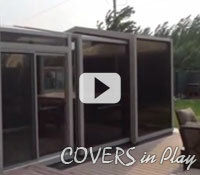 Sunroom on wheels. 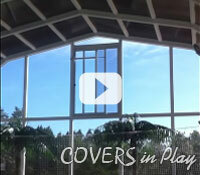 Just like sunrooms, retractable enclosures provide indoor settings with an outdoor view. 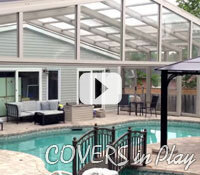 Retractable pool enclosures are consist of individual bays or sections. The telescopic bays retract, inside the other. 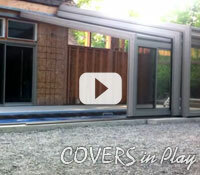 With our motorized window get a breeze without opening the Pool Enclosure. Hit the remote control to let the air in. Or close it when its a little cold. Our engineering tools and expertise set us apart in the industry by offering features and solutions to meet the customer needs. 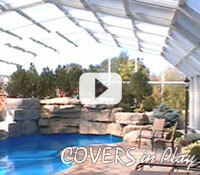 COVERS in Play Pool Enclosures allow you to enjoy your swimming pool year round. 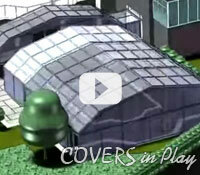 Pool enclosure opens with a push of a button, the whole building moves. 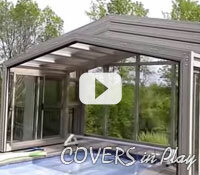 COVERS in Play pool enclosures not only opens with a push of a button, but has no cross bracing or horizontal supports for clear unobstructed views. 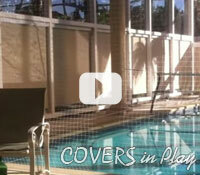 COVERS in Play builds automatic, fully retractable pool enclosures for pool and patio areas. It is the most up to date, state of the art product of its kind. 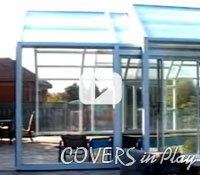 Our fully automatic retractable enclosures can be used for large pools to smaller swim spas. Watch them in action.